Tired and Worn Looking Furniture? Is your furniture starting to look drab? Let 1st Choice Cleaning revive your furniture for a fraction of the cost of buying new. Since 1991, 1st Choice Cleaning has specialized in furniture and upholstery cleaning. Our trained furniture cleaners are extremely effective at cleaning furniture so that it looks like new again. We clean and polish furniture to rejuvenate it to its original glory. Take advantage of our skills and call 1st Choice Cleaning at (909) 312-3626 and we'll be happy to discuss your furniture cleaning needs. Funny how kids and candy, dogs and cats, and endless spills find their way to your cushions. Say goodbye to tough stains and unwanted odors with our help. 1st Choice Cleaning will tackle those stains for you. For 28 years we have been cleaning the stains and odors off sofas, chairs and upholstered furniture so they’re fresh and comfy once again. Upholstery cleaning by 1st Choice Cleaning will soon have you sitting pretty! Contact us at (909) 312-3626 to talk to one of our expert furniture cleaners. 1st Choice Cleaning will dry clean or steam clean upholstery made of natural fabrics, leather or synthetic fabrics (microfiber) until it’s fresh and stain-free once again. Getting stains out of fabric is a tricky business. 1st Choice Cleaning’s upholstery cleaners knows the correct cleaning products to use which won’t harm or fade your fabrics. You can trust that when we clean furniture upholstery, each fabric is pre-tested to ensure success. Contact us at (909) 312-3626 to schedule a furniture cleaning and we will amaze you on how we transform your furniture. For over 28 years, our furniture cleaners have proven their exceptional value. 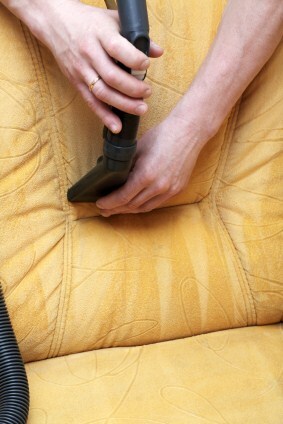 1st Choice Cleaning works wonders to clean your upholstery and extend the life of your furniture.